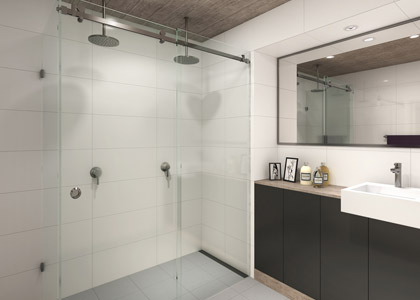 The Manhattan is a sliding shower screen (frameless) ideal for the most stylish bathroom designs. High quality shower enclosures made with the right components that perform year after year. Enjoy the fluidity of an exceptional sliding door whenever you enter or exit your shower. Whenever your shower isn’t in use, it’s complimenting your interior decor. **Please note that frameless shower screens are not instant and next day installations are unavailable. Click or tap here for instant shower screens.